A fresh coat of paint does wonders for the home exterior. Whether you paint your entire exterior or simply choose a unique color for your front door to brighten up your entryway, new paint will make an amazing difference to your home. Painting siding and trim also keeps everything looking fresh and new. Window boxes and shutters offer a welcoming beauty and curb appeal to the outside of your home. Shutters are also excellent for controlling light and providing further security. You can complement your home with a fountain or birdbath not only as a beautiful artistic addition to your home, but the tranquil flow of water will soothe hot summer days. Arbors, gates, and decorative fence panels will enhance your garden and the value and curb appeal of your home. Adding a colorful container garden adds a welcoming feel to any home exterior. Incorporating lighting designs for your home remodeling doesn’t have to be limited to the interior. Both front and backyard can be a whole new extension of your home if you desire it to be. You can go far beyond the front entryway lighting or backyard patio lighting and discover you have a lot more space to enjoy. With family schedules busier than ever these days, there often isn’t time to enjoy the backyard until the evening hours. Lighting up your backyard is a great way to extend your enjoyment of the outdoors. Out the front door, lighting up your driveway or walkway is always an elegant enhancement as well. Highlighting key areas around the house with outdoor lighting will give your home a welcoming and elegant appearance. Lighting your outdoor sculptures, fountains and other artistic touches adds nightfall’s beauty around your entire home. 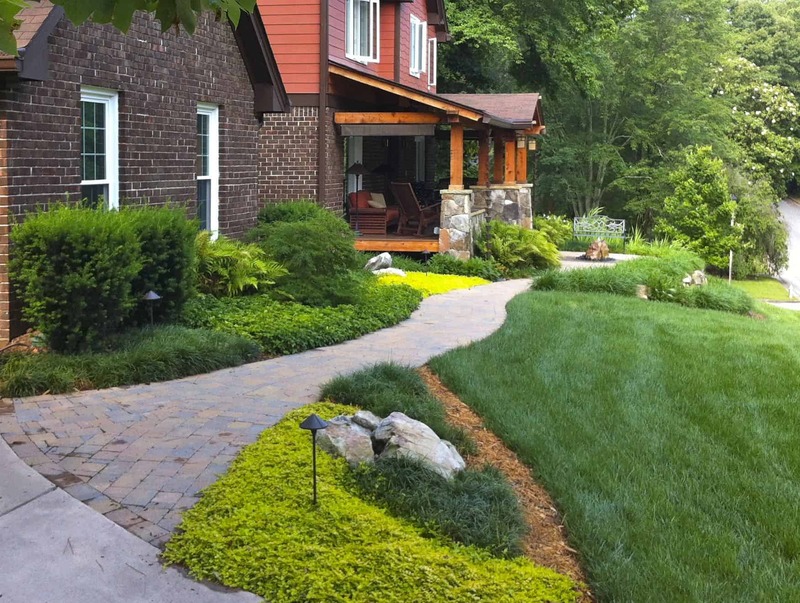 Dress up the driveway and walkway with brick or stone pavers. These enhancements will not only increase the value of your home, but give your home a distinct uniqueness that stands out from the rest on the block! Upgrading your railings and porch steps is always a plus for safety reasons, but creating a fresh new look brings and attractive appeal to your front entrance. Applying stone veneer is a very classy way to jazz up your exterior. You don’t even have to go crazy as even just partial stone veneers in key places will enhance the beauty of your home tremendously.